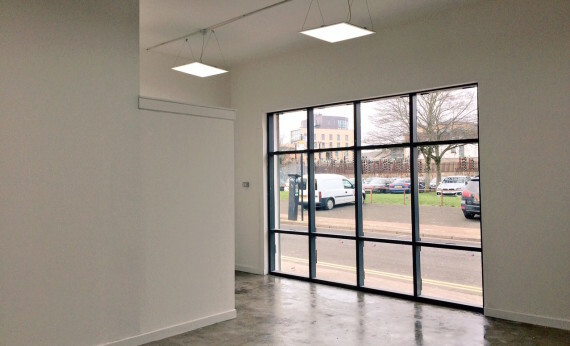 Thanks to capital funding from a special regeneration fund, Glasgow's Telfer Gallery has relocated to a new space in the city's East End as part of the soon to open Many Studios complex. Chris Sharratt finds out more. Glasgow’s visual arts ecology is moving east. Or at least that’s how it can seem, with The Telfer Gallery the latest venture to take root in the city’s east end. Based on the third floor of a former call centre in the more central Merchant City area for the last four years, its move is part of the wider relocation of Many Studios, a not-for-profit community interest company. Joining a growing number of art spaces in the area, including The Pipe Factory, David Dale Gallery & Studios and Market Gallery, Telfer is situated in the former ‘Charlie’s Market’, a one-storey building on Ross Street just round the corner from the famous Barrowland Ballroom and Barras Market. The new gallery occupies a compact 37m² – a small, public-facing part of the still under construction Many Studios complex, set to open later this month. With its full-height window and entrance onto the street – which at weekends is lined with market traders – for Telfer director Marc Cairns the gallery’s connection to its surroundings was key to his simple, utilitarian design for the space. 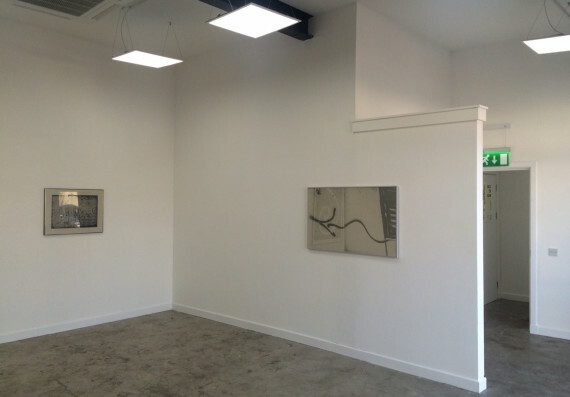 While Glasgow’s reputation as a hub for international artists is well known – a short walk west will take you to The Modern Institute whose stable of artists includes Martin Boyce, Richard Wright and Cathy Wilkes – Telfer’s focus is squarely on new, emerging artists. For that reason, the gallery is programmed through open call and, says Cairns, has a “very democratic” approach to selecting artists through a selection panel of 10. 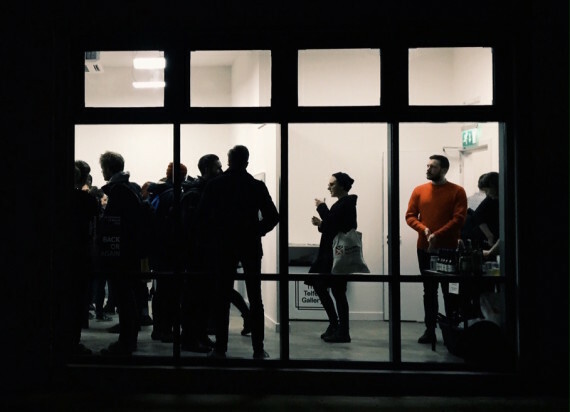 With no public funding for the running of the space, exhibitions and an annual off-site residency are supported in kind by Many and rely on funding from individual applications to trusts and other bodies. Capital funding, however, has been forthcoming; the relocation of Many Studios and the Telfer Gallery is all down to the snappily-titled Barras Vacant and Underused Floorspace Grant Scheme – a £1.6 million pot of regeneration money that forms part of Glasgow City Council’s wider Calton Barras Action Plan. The council has recently announced that a further £27m is earmarked for the area from the UK government’s £1.2 billion Glasgow and Clyde Valley City Deal. Many is one of four arts venues that have been funded by the underused floorspace scheme, the others being the studio and gallery space The Pipe Factory (set to reopen in April) music and arts venue Saint Luke’s, and Barras Art and Design Centre. Many’s £432,000 grant has enabled the building to be converted into 40 studio spaces for artists, designers and others in the creative industries. It will also be home to Pidgin Perfect, the creative studio run by Cairns. Neate Wilson was also the 2015 off-site resident artist – part of the residency package is a show at Telfer – and this is her first solo exhibition. Her prints are informed by ongoing research into the psychogeography of cities, and in this case Glasgow in particular. While over 200 applications were received for the 2016 programme, April’s show by London-based Australian artist Sam Smith came about by a different route. Part of Glasgow International’s supported programme, the gallery submitted a proposal to the biennial festival and was delighted to be accepted. CORRECTION: An earlier version of this article misspelt artist Abigale Neate Wilson’s first name. This has now been corrected.